The VLC media player is known to play every media format. But there are other very useful features that make it even better than you ever think. If you watch movies with foreign language without subtitles, you don't know what you are missing. Subtitles are free and available for most of the movies in your known language. You don't have to worry about the accent of the movie. Go to Subtitle menu >> add subtitle file. 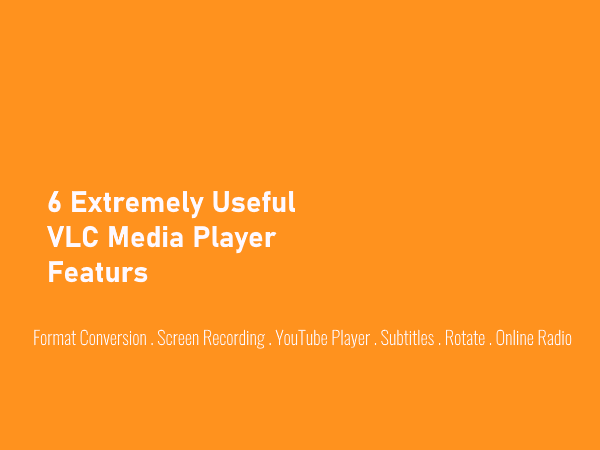 Read more details about adding subtitles to the VLC media player. Video recorded using mobile, sometimes may be in wrong orientation. When you try to such videos, its irritation to rotate your neck. If you are using VLC media player, you can rotate the video without using any third party software. Go to Tools menu >> Effects and Filters >> Video effects >> select 'Geometry' tab. Here, tick the option 'Rotate' to activate it as it is grayed out by default. Here you can rotate the video as you want. Read the detailed procedure and other tools to rotate videos. You can record your screen activity to create a video out of it using VLC media player. Go to Media menu >> Covert / save >> Capture device . In the capture mode, select 'Desktop'. Set the video parameters. You can set advanced options by clicking on 'show more options'. once you are done, click on 'convert / save' button. Give a proper name to file and it's location. Your screen recording is started. Read the detailed procedure for using VLC as a screen recorder. You can use VLC media player to listen to online radio stations, podcasts, and other streaming media. Install the 'TuneIn Radio' Extension for the VLC media player. That's a great way to listen to online radio and podcasts. You will find your taste of online music without browsing for radio stations on any website. 📌 If you don't want to download the extension, you can directly enter the streaming audio URL. 📌 Go to >> Media >> Open network stream or Ctrl+N . Enter the URL of streaming audio in the address field. Just like the streaming audio of online radios, VLC media player can stream the videos on YouTube. Only thing is you can not play the LIVE YouTube streams. All other videos can be played using VLC media player. Same way, you can watch any other streaming video, if you know the exact URL. You can also manually add any other type of streaming media. 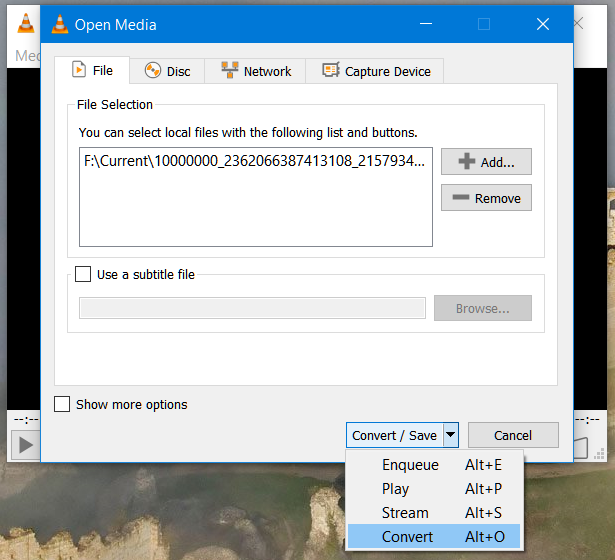 The VLC media player can convert audio and video files from one format to other. Almost every video and audio file type is supported. You can customize the video codec, audio codec, container type, add subtitles, change frame rate, bitrate and everything else you can do with standalone media converter software. 📌 Click on 'Media' >> Convert / Save. 📌 In the 'File' tab add the video or audio file you want to covert. 📌 At the bottom of the popup window, click on 'down arrow' and select 'Covert'. 📌 Select the type of audio or video format you want to convert to from 'Profile' drop-down menu. 📌 Here you can customize everything. 📌 Once you have finalized the output format, click on 'Covert' button. 📌 Choose a location for the new file and give an appropriate name. 📌 The progress of conversion is displayed similar to a file is playing in VLC. What else you know, you can do with VLC media player? Share in the comment box. Its useful if you have recorded the video in wrong orientation. Specially happen when you use Mobile to shoot the video. You can rotate it without any problem. how do I get this program? Yes. For Windows version, it will be available soon. For Android, casting is already available.